It is with a heavy heart that I have to inform you Chuck Baranowski passed away January 19th,2018. The lacrosse community has lost a legend but the Creator has another player. The cycle continues. I have been struggling with this loss for about a month now. I’ve written and deleted this page three times already but maybe the forth time is a charm. To put things into perspective a bit, Chuck Baranowski, was the man who introduced me to the game of lacrosse. Chuck was my grade 9 biology teacher and was quite the joker. Biology in itself can be challenging to teach high school boys but he made it as entertaining as he could. Something would happen in class and all you would see is a small smirk on Chucks face. You just knew that something hilarious was going to be said. He was stern but fair; a man with a heart. That year Montreal had a professional team in the NLL called the Montreal Express. Chuck was involved with the team somehow and got me free tickets for my first game, I was hooked from day one. I saw Tracey Kelusky and the Express score close to 30 goals. It was insane for me in every sense of the word. I don’t want to repeat myself but you can read the story of my first game by clicking here. In the summer of 2002 Chuck Baranowski founded the West Island Lacrosse Association and it still runs till this day. He has made lacrosse a staple in the West Island community and helped lacrosse grow in the province as much as he could. 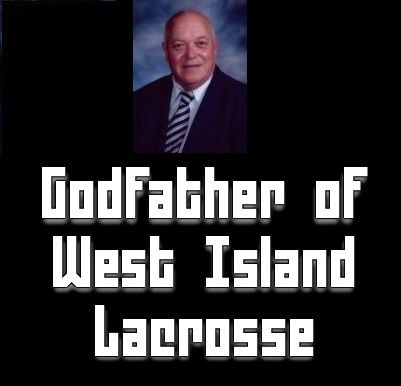 The man changed many lives with his dedication to the game of lacrosse. Chuck’s guestbook is filled with people who were impacted greatly by this humble soul. If you have time feel free to write something. I received the message about Chuck on Monday morning after the Winter Box Classic. The news hit me like a ton of bricks. What got me through the past month is the knowing that he got to watch the WBC. That was extremely comforting to me. He taught me a lot about the game of lacrosse and now it’s my turn to carry the torch. I do plan on organizing another Winter Box Classic in 2019 but it will now be called the Chuck Baranowski Memorial. Thank you for everything Chuck. You dufus. Many Thanks for your kind words. Chuck was my brother and yes I remember his smirk as well as his serious side and kind heart. Chuck would be so honored and humbled with this special memorial. He deserves every bit of this tribute and more. I’ve traveled the world with lacrosse and that was all possible through him.